From Delhi it takes around 11 hrs to the property and from Chandigarh 6.5 hrs. People travelling from Delhi are in the dilemma to either break their journey in Chandigarh or reach directly. Though it’s a matter of personal choice, we still recommend our guests from Delhi to reach directly. The trick is to beat the morning Delhi traffic and leave as early as possible in the morning and reach to the property before it gets dark. “Few guests with kids who have come here for the first time had started at 4 am from Gurgaon and reached the property before dark by 5pm. With 3-4 short breaks;“ And this is what we recommend. 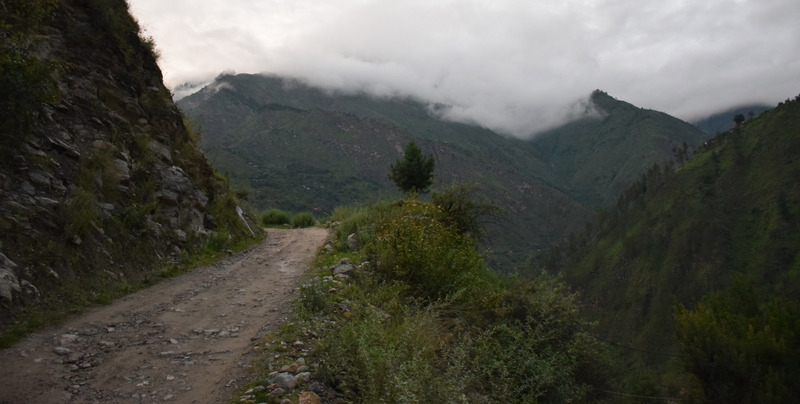 After this long journey you will be tired for sure but with the fresh air of the valley and soothing sound of river and early dinner, you will be all relaxed and set for the next day. 6 hrs:- Outside Chandigarh– Kharar – Ropar - Bilaspur - Mandi – Pandoh-- Before start of Aut Tunnel –take right towards Banjaar—Larji – Bali Chowki- Sidhwa – cross the cement bridge and take left – climb up and turn – this place is Khundan, take the road to gushaini in your left (Milestone says Gushaini) / (don’t reach banjar) – Nagini- Naglaadi pull (its 2 kms before Gushaini)- take the road and come another 5 kms towards Bandal & Sharchi village. 6 hrs:- Chandigarh - Kharar – Ropar - Bilaspur - Mandi – Pandoh-- Before start of Aut Tunnel –take right towards Banjaar—Larji – Bali Chowki- Sidhwa – cross the cement bridge and take left – climb up and turn – this place is Khundan, take the road to gushaini in your left (Milestone says Gushaini) / (don’t reach banjar) – Nagini- Naglaadi pull (its 2 kms before Gushaini)- take the non metal road and come another 5kms towards Bandal & Sharchi village. Last 5 kms is non-metal road. 6.5 hrs:- Chandigarh - Kharar – Ropar - Bilaspur - Mandi – Pandoh-- Before start of Aut Tunnel –take right towards Banjaar—Larji – Bali Chowki- Sidhwa – cross the cement bridge and take left – climb up and turn – this place is Khundan, take the road to gushaini in your left (Milestone says Gushaini) / (don’t reach banjar) – Nagini- Naglaadi pull (its 2 kms before Gushaini)- take the non metal road and come another 5kms towards Bandal & Sharchi village. Last 5 kms is non-metal road. 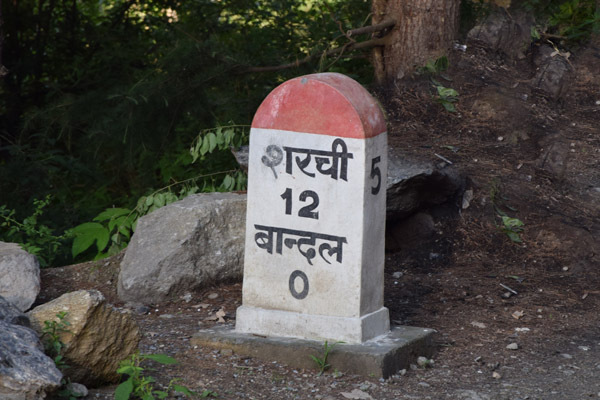 2.5 hrs:- Bhuntar– ross the Aut tunnel - take left towards Banjaar—Larji – Bali Chowki- Sidhwa – cross the cement bridge and take left – climb up and turn – this place is Khundan, take the road to gushaini in your left (Milestone says Gushaini) / (don’t reach banjar) – Nagini- Naglaadi pul (its 2 kms before Gushaini)- take the non metal road and come another 5 kms towards Bandal & Sharchi village. Last 5 kms is non-metal road.